Please contact us if you want a Copy for Evaluation. SLEEK is CWB Tech's state-of-the-art software solution for crystallization process development. It shortens total development time, builds rapid understanding of the system, facilitates logical selection of solvents/experiments and reduce overall project cost. The development of crystallization-based separation processes is a complex multi-disciplinary problem. It requires a development team of process engineers and chemical scientists to collaborate on a multitude of tasks. These tasks can be classified under three headings: Experiments, Synthesis, and Modeling. Experimental tasks include laboratory work, collection of data, and expression of data into meaningful models. Synthesis tasks include understanding the underlying phenomena and system properties and creation of process alternatives. Modeling tasks include calculation and evaluation of these process alternatives. The development workflow is essentially an evolutionary approach among various experimental, synthesis, and modeling tasks. The goal is to generate feasible process alternatives and operating conditions and to evaluate their merits and potential. If you are involved in crystallization process development, you will know that this is very difficult due to the various types of complexities in the solid-liquid systems that you have to deal with. Time pressure, process regulations, and resource limitations also often hinder your development team in performing these tasks in the optimal manner. 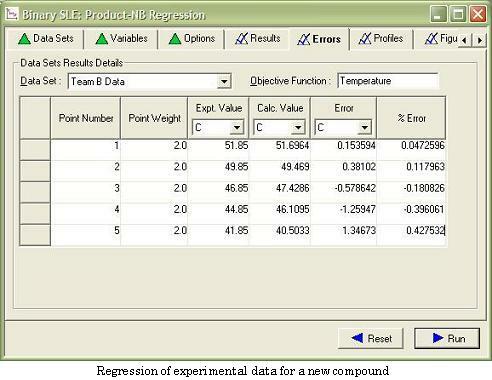 Organization and regression of experimental data. Rapid design and evaluation of continuous crystallizers. 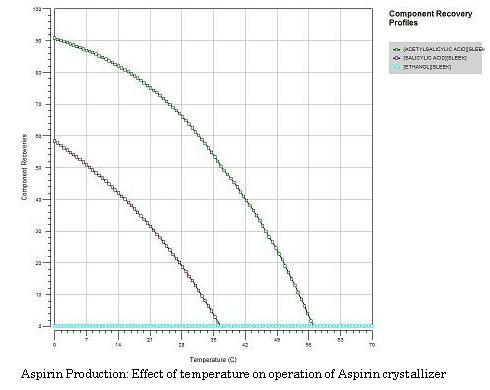 Evaluation of operating policies for batch crystallizers. 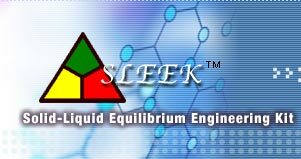 "SLEEK provides cutting-edge technology for the design of crystallization processes. We are confident that SLEEK will give us the boost we need to make our process development effort more efficient." Select property methods and thermodynamic models that best describe the system. 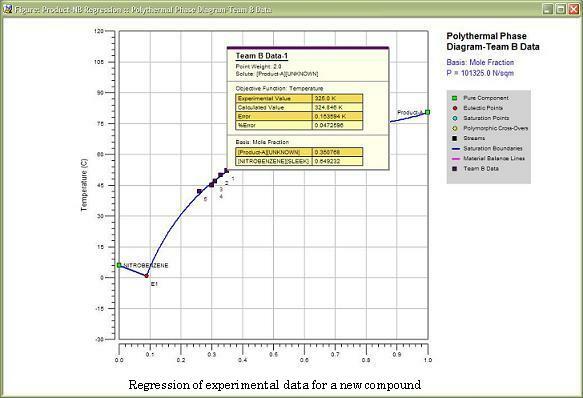 Plot solubility curves, polythermal phase diagrams, and isothermal phase diagrams. Examine the overall composition space, visualize crystallization regions, and identify separation barriers. 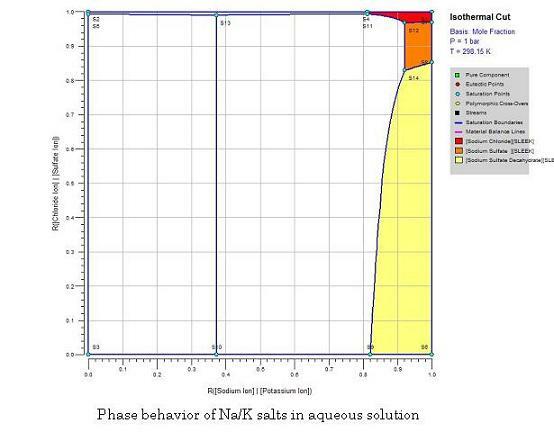 Understand how liquid phase reactions affect solubilities and phase behavior. 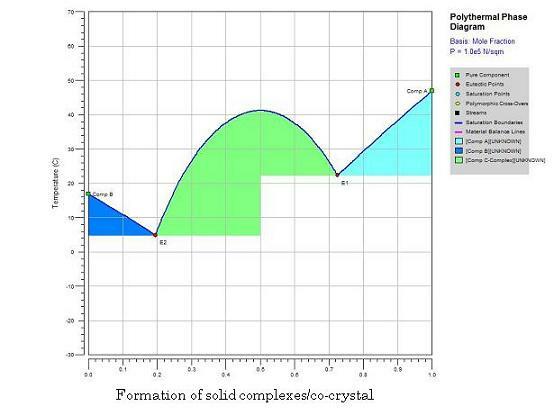 Understand how and when solid-complexes/co-crystal may be formed. Understand polymorphic crossovers (components may have any number of polymorphic forms in SLEEK) and identify regions in which different polymorphic forms may be obtained via crystallization. Understand the phase behavior of electrolytic systems. Regress experimental solubility data to obtain thermodynamic model parameters. Handle data in mixed solvent or in presence of fixed impurity levels. Determine the conditions for additional experiments. 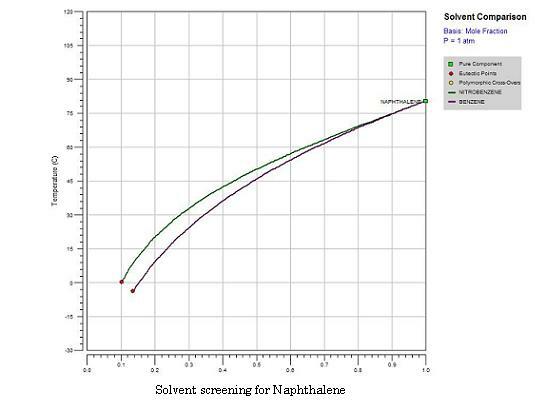 The solvent screening tool enables you to filter and screen solvents based on a solute’s solubility in a specified temperature and composition range. 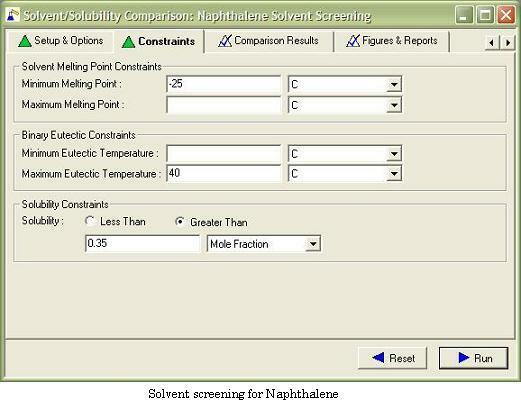 The solubility study tool enables you to estimate the solubility of a solute in mixtures that include co-solvents, anti-solvents, other components, and impurities. With the help of the SLEEK continuous crystallizer design tool, you can calculate the percent recoveries, total heat requirement, and crystallizer performance under specified operating conditions. 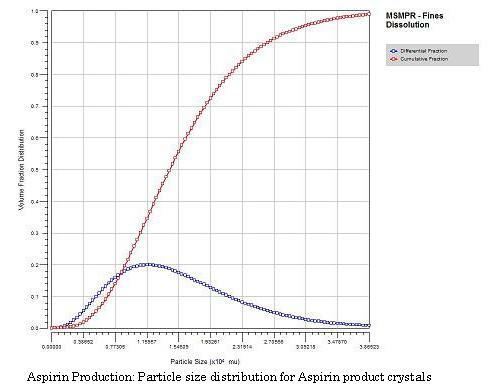 This design tool has models that allow you to calculate the particle size distributions by taking into account the effects of crystallizer size, nucleation and growth, agitator speed, fines dissolution, and product classification. SLEEK also has a powerful sensitivity analysis tool that lets you study the effects of design variables on the performance of your crystallizer. Find the most suitable operating conditions for the optimal recovery of your product. Find the most suitable operating conditions that will produce the desired polymorphic form of your product. Determine ways to optimize the product recovery and other performance parameters. 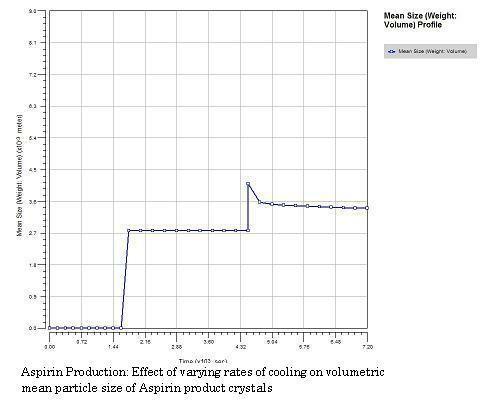 Study the effects of crystallizer operation on the particle size distribution. 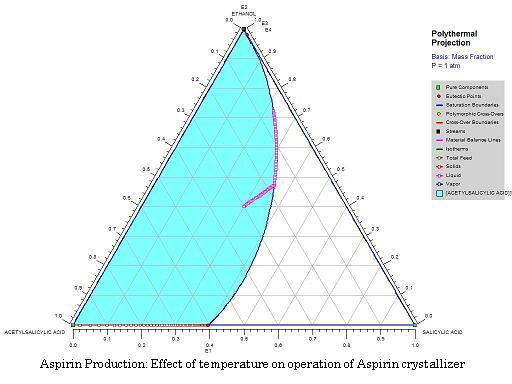 SLEEK batch crystallizer model allows you to create your own batch operating policies and then study the effect of these policies on crystallizer performance. The batch crystallizer model also lets you calculate the particle size distribution properties dynamically. Create operating policies by various combinations of "Cooling/Heating", "Solvent/Anti-Solvent Addition", and "Evaporation" steps. Determine how recoveries, crystallizer variables, and component attributes change with time. Determine how mean particle size and variance change with time. Specify seeding and study its effect on mean particle size and variance. SLEEK comes with an intuitive and user-friendly architecture and interface, so you can learn to use it in a short time. At its core is a powerful engine that is based on proven technologies. It has a built-in pure component database with over 1500 components and a built-in aqueous component database with over 1000 components, so you don’t have to search for physical property information and can get off to a quick start. It also provides a local database, so you can store new physical properties and thermodynamic model parameters and share them with other users. Whether you want first to try a quick simulation to get an idea of what experiments to perform, or you would rather go to the lab to measure the phase diagram before doing the design calculations, SLEEK can handle the right amount of data at the right time. To place an order, or for more information, please contact us by phone, or by email at sales(at)cwbtech.com. S. M. Lai, M. Y. Yuen, L. K. S. Siu, K. M. Ng, and C. Wibowo, "Experimental Determination of Solid-Liquid-Liquid Equilibrium Phase Diagrams," AIChE J., 53, 1608-1619 (2007). K. D. Samant, L. O'Young, M. Kwok, and K. M. Ng, "Workflow and Regression Methods for Determining Solid-Liquid Phase Diagrams," FOCAPD 2004 Proceedings, Princeton, New Jersey, USA (2004). C. Wibowo, K.D. Samant, J.W. Schroer, and L. O’Young, "A Novel Software Tool for Crystallization Process Development," European Symposium on Computer Aided Process Engineering-14, Lisbon, Portugal, A. Barbosa-Povoa and H. Matos, eds, Elsevier, Amsterdam, pp.1153-1158 (2004). C. Wibowo, L. O’Young, and K. M. Ng, "Streamlining Crystallization Process Design," Chem. Eng. Prog., 100, 30-42 (2004). C. Wibowo, K. D. Samant and K. M. Ng, "High-Dimensional Solid-Liquid Phase Diagrams Involving Compounds and Polymorphs," AIChE J., 48, 2179-2192 (2002). K. D. Samant and K. M. Ng, "Representation of High-Dimensional Solid-Liquid Phase Diagrams of Ionic Systems," AIChE J., 47, 861-879 (2001). K. D. Samant, D. A. Berry, and K. M. Ng, "Representation of High-Dimensional, Molecular Solid-Liquid Phase Diagrams," AIChE J., 46, 2435-2455 (2000). If you would like to request a copy of any of the above papers, please click here.